Are your Poshmark sales in a summer slump? 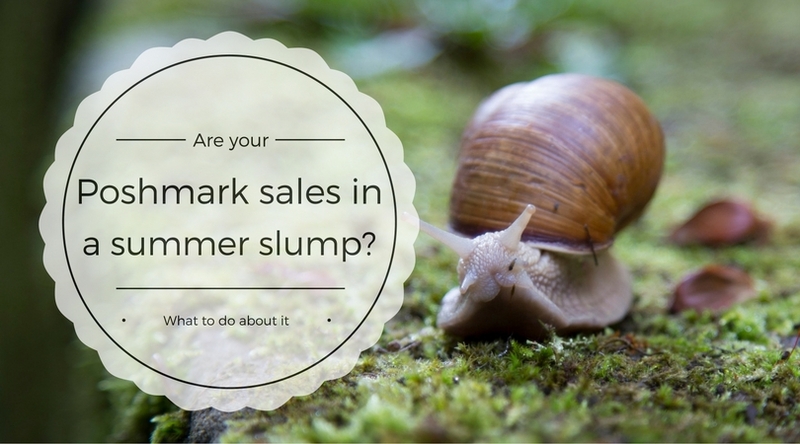 Have your sales slowed down significantly? Or even come to a screeching halt? Have you been wondering what you are doing wrong all of a sudden? Why the buyers have disappeared? Chances are, it’s not your fault at all. If you were making good sales earlier in the year but haven’t been able to keep that momentum up recently, it’s probably due to the typical retail sales cycle. Nationally, sales tend to drop in the summer. People are out and about, on vacation (or saving up for one that’s right around the corner), and not as motivated to shop. Luckily, things should start getting better in another couple of months, but in the meantime, there are still a few things you can do right now. If you aren’t spending as much time boxing up orders and running to the post office, then use that extra time to improve your closet. The most obvious thing to do would be to add more listings. You know that pile of clothes that you have been meaning to list on Poshmark for the last 2 months. Yeah, those. Create one new listing per day and blow through that pile! Start with the listings that have the fewest number of likes. If it’s been active for a while and isn’t getting many likes, then your listing photo is the most likely culprit. Think about how you can improve the listing photo, by using better lighting, doing a pretty flat lay or styling the clothing a bit different. This is your chance to spend the time playing around with different cover shot techniques. And then you can see what types of cover photos generate likes more quickly in your closet. Do you already have a Facebook, Pinterest or an Instagram account for your Poshmark closet? If not, get those set up so you can share your sale listings and reach potential customers in an entirely new way. If you already have your accounts and have been sharing to them, spend the time growing your followers. Also, consider joining some Facebook groups for Poshmark sellers. You can learn a lot from the techniques that people are trying out and discussing. They will share both what IS working and what is NOT working for them. Run a sale, but don’t use up all of your price drops! Remember that Poshmark will only trigger a price drop notification when a listing is dropped 10% below that listings LOWEST price that it’s ever been set at. One way to get around that is to create a sale listing saying that you will accept offers at 20% off the listed price (or whatever amount you choose). Then share, share, share that sale listing.If it sounds like a really good, deal then you may get more eyes on your closet because people will simply want to see if they can take advantage of the sale. If it sounds like a really good, deal then you may get more eyes on your closet because people will simply want to see if they can take advantage of the sale. Just like with investing, it makes sense to build up multiple streams of income. That way, if one starts performing poorly or dries up, you have other sources of income to rely on while you build the struggling one back up. These don’t even have to take much time or focus away from everything else that you are doing. I know, we are all crazy busy. I work full-time as a software engineer, I blog, I sell clothes on Poshmark. But I also run two online web stores: a t-shirt store and a skincare business. And it’s actually totally easy to fit all of those things in as long as I plan out my schedule well and make good use of my time. I might explain more about the t-shirt store later on if there is interest, but that takes a lot of work and it’s not my very favorite. Right now, I would like to explain how starting a web-based skincare business has transformed my side hustling. Like I said, I’m crazy busy, so when my friend Heather approached me about building my own skincare business with Rodan + Fields, I thought there was no way I could do it. But when she explained all of the things she had going on in her life (she’s a mom and runs her own copywriting biz full-time), I understood how easy it would be to run this business 15 minutes here, 15 minutes there. It’s just like Poshmark, you can put a little or a lot into it each day, but consistency is key. 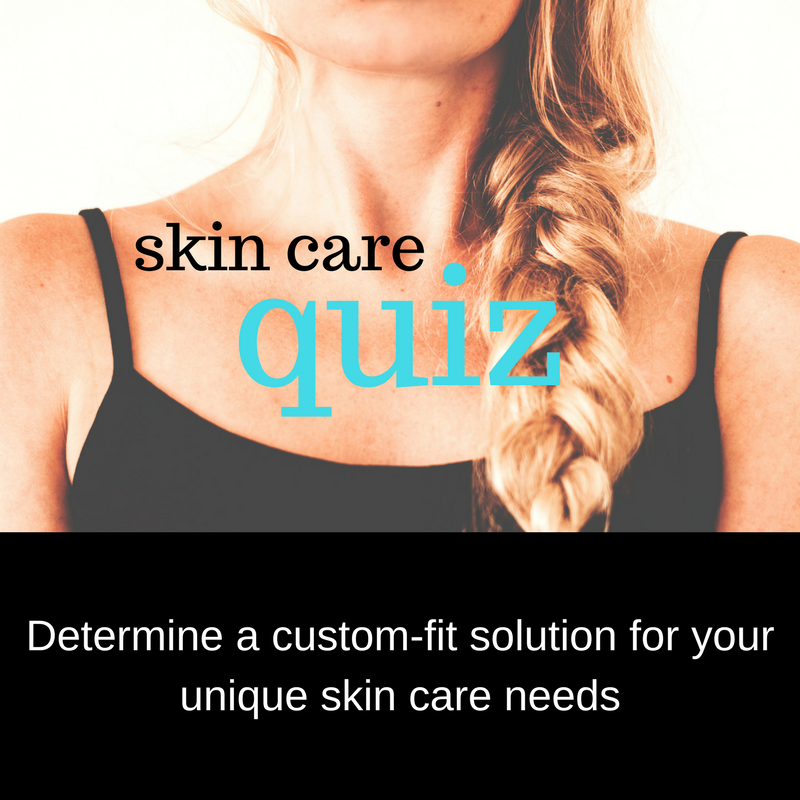 Rodan + Fields offers skincare regimens and tools that target the most common concerns of adult skin. It was developed by the same dermatologists that created Proactive and the products used to be sold in department stores like Nordstrom before the doctors bought their company back and grew it exponentially with network marketing. How it works, is you enroll as an independent consultant and then you are instantly given a fully-functional website with all of the products available for sale. It’s all web-based, so you never have to stock inventory or invest in things that might not sell. Skincare is an incredible business because most customers love the products so much that they keep coming back to restock and order more. So you have a pretty good expectation of recurring revenue. If you are interested in creating more money to supplement your Poshmark earnings, this may be a great fit for you. It’s not about being salesy, it’s about sharing. And I will personally train you to make sure that you are successful. What do you do when sales are slow? Drop a note in the comments below! This entry was posted in Inventory, Uncategorized. ← How do you cancel a Poshmark order? I actually learned something. You walked the visitor very smoothly from why things are slow to what to do when they are slow. Great info for on-line sellers. I never heard of Poshmark before, as I said I learned something which is what you want visitors to do. Thanks Ed! Luckily sales should start to pick up for most industries soon, especially as it gets closer to holiday season! And Poshmark is great – it’s an online marketplace for used and new clothes (sort of like eBay, but more specific). What a neat article on clothing sales. I never even heard of this site, but Im sure word will get around. Its a very smart idea on how to get rid of un-used items in your closet. And its true, summertime is fun and sun time. But with holidays around the corner, everyone is looking for a bargain. The reason sales are down is because Poshmark jacked up the shipping costs. No one wants to pay$10 for a used dress and then add on $6.95 shipping.